Wildland Fire and Disaster Support Services Contracts in place at Boise Interagency Dispatch Center for transport and non-transport services. Available for federally managed fires in Idaho, Washington, Oregon, Utah, Wyoming, and Colorado. Single resource EMT-B and Paramedics available with complete State-inspected packs. Fully-stocked Idaho State certified ALS ambulances capable of transport. Scaleable resources for any size fire event. EMTs and Paramedics that are line-qualified, licensed, Arduous Work Capacity Tested, and holding current Red Cards. Registered with SAM, VIPR, and IPP. 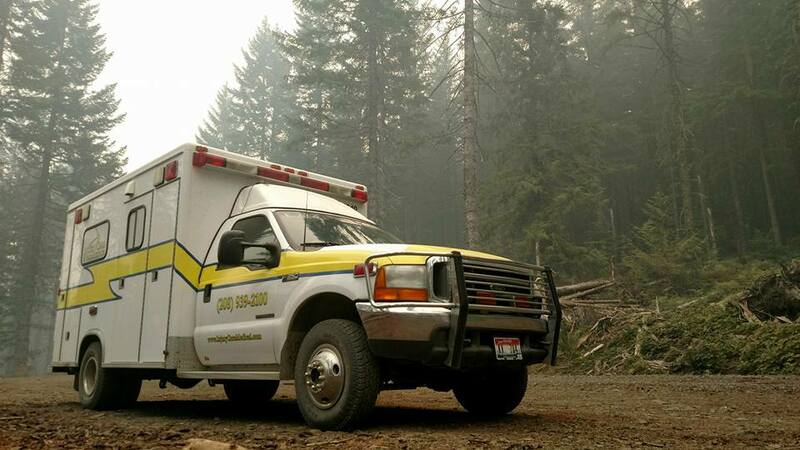 Interested in working with Injury Care EMS on Wildland Fires? You’ll need a Red Card and to pass the Arduous Work Capacity Test. Additional information on Red Cards and the Arduous Work Capacity Test information from the NWCG is HERE. Keep an eye on our Injury Care EMS Events page or Like us on Facebook for Wildland Fire training announcements as well!